Lahore, University of the Punjabhas announced the complete schedule for the submission of the admission forms for PU LLB annual exams 2019. The regular students of LLB Part 2 will send their application forms with the payment of single fee by the closing date of 02-04-2019 and LLB part 3 students will submit their application forms by 03-04-2019. 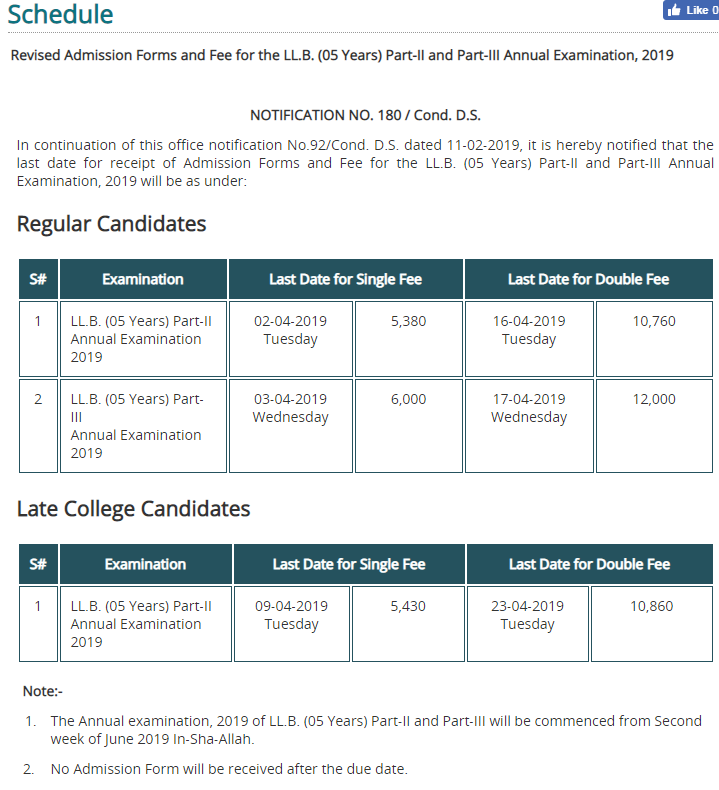 PU LLB Revised Admissions Forms Annual Exams 2019shows that LLB part 2 students will send their application forms with the double fee by 16-04-2019 and LLB part 3 students will forward their application forms with double fee by 17-04-2019. PU LLB late college students will submit their admission forms with single fee by the closing date of 09-4-2019 and the late college students will submit their admission forms and pay the double fee by 23-04-2019 in order to appear in the PU LLB Part II & III annual exams 2019.